Cocktails With MAD MEN: The Daiquiri | Birth.Movies.Death. 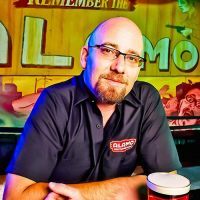 Alamo Drafthouse Beverage Director Bill Norris continues his terrific series on the history and culture of cocktails with the oft-abused daiquiri. In the first season of Mad Men, Sterling-Cooper supports Nixon over Kennedy in the 1960 election, going so far as to pitch the Nixon campaign for work. On Election Night, the staff throws a raucous in-office party to watch the results come in. In the end, it’s not a good night for the staff, or for Nixon. When the booze runs low, Joan tells the drunken hordes that they can use the rum in the supply cabinet. It is a discreet reminder of the essential conservatism of the firm, and a hint of the youth revolution that will soon engulf Sterling-Cooper and the country. Kennedy, after all, was watching the returns with a daiquiri in hand, and the party at Sterling-Cooper gets racier when the rum comes out. Anyone who has been on a tropical vacation or tied one on in the French Quarter is privy to the massive bastardization of the daiquiri. What began as a stiff, crisp sour, heavy on the booze and citrus, with just enough sugar to make it go down quickly, somehow over time morphed into a fruit salad slushie, sickly sweet, artificially colored and thoroughly awful. The most common creation myth that surrounds the daiquiri goes something like this: Round about 1905, Jennings Cox, an American engineer who managed mines near the Cuban beach town of Daiquiri, was having important guests over and realized he was low on his preferred tipple, gin. In desperation, he tossed together the local rum, the local limes and some sugar. Voila. 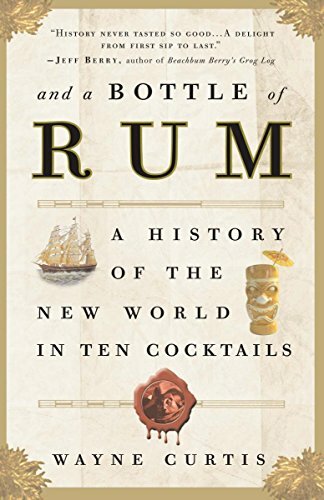 By 1795, the British Navy was giving its sailors a daily ration of both rum and lime juice, a tradition first ascribed to Admiral Vernon, who started giving his sailors rum and lime in 1740. The higher ups in Britain noticed that Vernon had rather healthier men than the rest of the fleet. In the 18th Century, water was poisonous to one degree or another, a situation exacerbated by storing it in casks during long ocean voyages. Mixing rum into the water helped to kill the bugs, and the citrus ration helped with scurvy. It’s not much of a stretch to assume that “Limey” sailors started to dump the sour lime into the strong spirit, because as people have found whenever citrus and liquor are available, the combination of the two tastes good, particularly when lightened with a touch of something sweet. Sours first appear in the historical record on a Toronto drink list in 1856, a brandy sour appears in The New York Times in 1858, and by 1879, sours were ubiquitous American drinks, commonly made of spirits, lemon juice, sugar and ice, finished off with a small piece of lemon. As with Mexico and The Margarita, our rum producing islands are short on lemons but long on limes, and they are full of rum, and lousy with sugar, the makings of a local sour, but also the makings of another island classic: Ti’ Punch. Ti’ Punch is a favorite drink in formerly French Islands like Martinique and Guadalupe, and is a mixture of the local Rhum, pure cane syrup and lime juice - essentially a daiquiri with a different sweetener, though it is not usually served with ice, and is normally set up like a make your own Bloody Mary bar, with the rum, limes and cane syrup set out for tipplers to make them to their own specifications and likes. It’s also been around since long before any one laid claim to the Daiquiri. The Brazilians make their own cane spirit, similar in character to Rhum Agricole, called cachaca, and they make a cocktail with limes, cachaca, and sugar called the caipirinha that’s been around for a long, long time as well. Unlike the daiquiri, both ti’ punch and caipirinhas use both the peel and the juice of limes, lending a lime zest character to the finished drink. All that said, it’s more than probable that Cubans were mixing the local rum, the local limes and the local sugar together in a drink long before anyone dubbed it a daiquiri. As David Wondrich has noted, ”the daiquiri represents such an obvious marriage between local ingredients… that it would take the chowder-headedest duffer who ever buttoned a trouser not to invent it." Shafter rose through the ranks of the Union Army during the Civil War, and was a Major General in the United States Army by the time of the Spanish American war. He was tasked with leading the invasion of Cuba, despite being over 300 lbs. and suffering from gout. He was so portly and immobile that he couldn’t ride a horse, and was reportedly pulled around in a cart. By all accounts, his performance in leading the invasion was not exactly stellar. After coming ashore at Daiquiri, his disorganized planning and disorderly troops led to heavy causalities before he eventually was able to take the city of Santiago from the Spanish. He is sometimes credited with creating the daiquiri cocktail after seeing the locals drinking rum, lime and sugar by introducing two American innovations: ice and the cocktail shaker. In favor of this theory: Shafter clearly liked his drink. In opposition: Almost everything else. There is however, a distinct American Armed Forces connection to the arrival of the daiquiri in America. By the early 1900s, the cocktail was well established in Cuba, particularly at the El Floridita Hotel in Havana in the hands of barman Constantino Ribalaigua Vert (aka Constante Grande). But in 1909, Admiral Lucius Johnson sailed from Cuba to the States with the recipe in hand, and gave it to the bartenders at the Army & Navy Club, from whence it spread around the country. It is impossible to talk about the Daiquiri without mentioning one Ernest Hemingway, noted author and noted drunk. Hemingway was particularly fond of the daiquiris at El Floridita in Havana, probably because they were willing to make them his way and wouldn’t cut him off: he still holds the record for most daiquiris consumed in a sitting, knocking back sixteen doubles. With Hemingway, it’s important to remember that he was, in addition to a noted lush, a diabetic who tried to minimize his sugar intake while maximizing his liquor intake. Reportedly, the first time he tried a Daiquiri at El Floridita, he told Constantino, “That’s good, but I prefer it without sugar and double rum,” and the so-called Papa Doble was born. There’s a lot of confusion around the Papa Doble, The Hemingway Daiquiri and the Floridita Daiquiri, with the drinks often used interchangeably. They are not. Constantino, as bartenders like to do, tinkered with the base recipe quite a lot, and by the time he authored his 1939 La Floridita Cocktail Book, he had five different daiquiri recipes, with grapefruit and maraschino liqueur added to the rum, lime and sugar as Daiquiri # 4. A blended version of the same drink comes later in the book, as the “E. Hemmingway (sic) Special.” It’s quite likely that #4 was the house drink at El Floridita, that Hemingway enjoyed his house special frozen and that the Papa Doble was simply Hemingway’s double, no sugar version of the original. But there’s also that whole blended thing. There is no doubt that the daiquiri was originally prepared in the manner of a sour: A couple of ounces of rum, some fresh lime juice, and a hit of sugar, shaken long and hard with cracked ice, served up, and knocked back quickly. It’s also clear that this was quickly followed by a frappe version, prepared in the same way, but served over crushed ice. In 1937, The Waring Corporation unveiled its first electric blender, and the new technology was a hit with bartenders. It’s possible the frozen daiquiri started as a mistake born out of a labor saving measure, as Constantino began to use the blender in place of the shaker. It is clear, from early descriptions of its use, that he was straining the blended version into a cocktail glass through a fine mesh strainer, achieving the chill and dilution required for the drink in the blender in place of the shaker. It certainly appears that Papa favored the frozen version, but the uncharacteristically flowery prose here, where the drink separates, suggests a quick whirl in a blender, not an integrated smoothie or slushie. Rum producers have long known of what they call hogo, a dialect corruption of haut gout, the French term for the “high taste” of aged, or rotting meat. Despite its seemingly being a pejorative, in both cases, it can be a positive. In rum, the hogo is the funky, gamey notes of the young distillate. Some producers, notably Bacardi, have made it their mission to tame hogo through barrel aging and filtration, producing a mellower, more vodka like rum. Other producers embrace hogo, and those are the rums you should seek for your daiquiris, as the funk melds beautifully with the lime and sugar to produce a cocktail where the whole is greater than the sum of its parts. Without hogo, you end up with rum flavored limeade. If you have access to it, the Havana Club Three Year Old is a great daiquiri choice. Domestically, Banks 5 Island Rum is a personal favorite in the drink, but it can be tricky to find outside the North East. The Flor D’Cana 4 Year Old is a great choice, Don Q Crystal will work, and Brugal Blanco is nice. But other, darker, rums, can also be interesting. Smith & Cross Navy Strength makes a killer daiquiri, and its whopping 114 proof gets the job done in a hurry. El Dorado 3 year old is good too. Even anejo rums have their place in a daiquiri. The daiquiri is a cocktail that lends itself to different flavor expressions in rums. Just watch the sugar: some rums are far sweeter than others, so taste and adjust accordingly. Normally, simple syrup is fine to sweeten a cocktail. It solves the issue of granulated sugar not dissolving well in booze, and it will work fine in your daiquiris. But the daiquiri is a drink where I usually prefer straight sugar to simple syrup, as it lends a nice texture. The best option is super fine or caster sugar as it readily dissolves into the drink. If you can’t find real superfine sugar - powdered/confectioner’s sugar won’t work as it contains corn starch - you can pulse regular sugar in a good food processor to get a similar effect. Lemons, sour mix, flavorless rum, strawberries, mangos, bananas, lychees, papaya, spiced rum, flavored rum, Rose’s Lime Juice, raspberries, triple sec, Slurpee machines, oranges, orange juice, peaches, any kind of liqueur. Combine lime and sugar in a cocktail shaker and stir to dissolve sugar. Add rum and a bunch of cracked ice. Shake long and hard until cocktail shaker is frosty and very cold. Fine strain into a chilled cocktail glass and, if you wish, garnish with a wheel of lime. To serve Frappe Style, strain the drink into a Collins glass over crushed ice. Combine all in a cocktail shaker with cracked ice and shake until cocktail shaker is frosty and very cold. Strain into a chilled cocktail glass and garnish with a lime wheel if you wish. To turn this into the Hemmingway (sic) Special, toss the ingredients into a blender with about a cup of cracked ice. Give it a whirl and pour into a Collins glass.